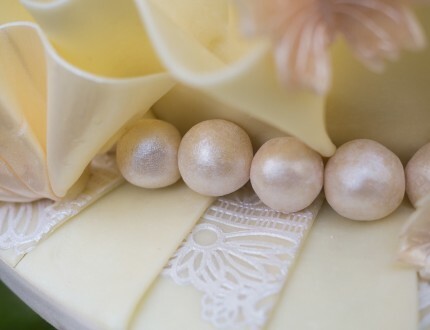 In this lesson, Paul constructs the base for this elegant wedding cake using a 6 inch round chocolate cake as well as an 8 inch round lemon cake for the bottom tier, fusing it all together with thick layers of white chocolate ganache! Here, Paul shows us a cheap and easy, but effective, technique for creating the cone that will sit atop the chocolate cake and form the peak of the finished cake. The whole base is finished off with a coating of white chocolate ganache, forming a solid structure for the rest to be built on top of! 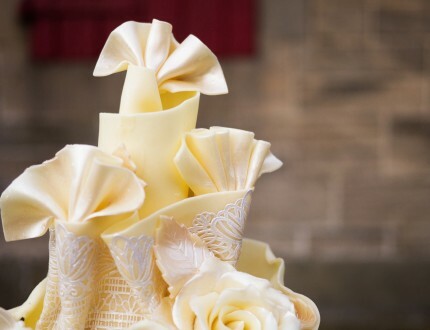 Paul spends this lesson creating some classy fabric design and making the white chocolate wrapping that will decorate the exterior of the cake! 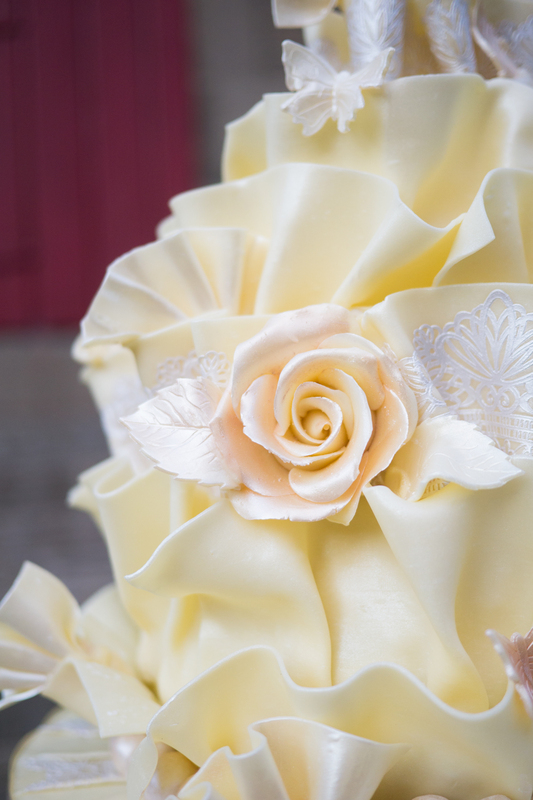 In this lesson, Paul pops off the lace fabric from the mould and starts to wrap the cake! Paul finishes up wrapping the cake! 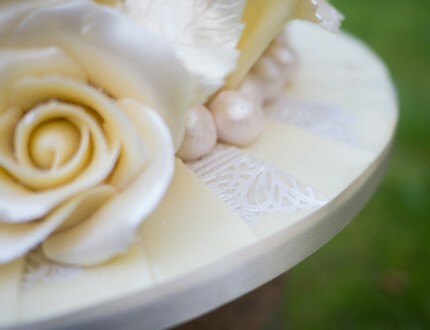 In this lesson, Paul decorates the cake board by alternating laced and blank strips of white chocolate! 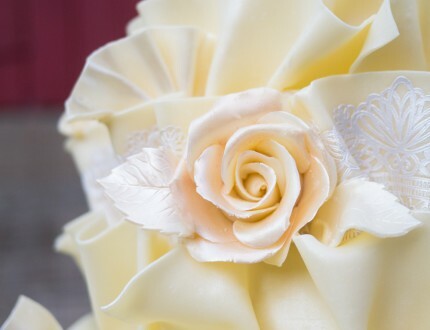 Paul gets intricate in this lesson, creating small butterflies, balls, fans and a rose for decoration! Here, Paul dusts the decorations made in the previous lesson with various lusters to give them a nice, classy, clean feel! 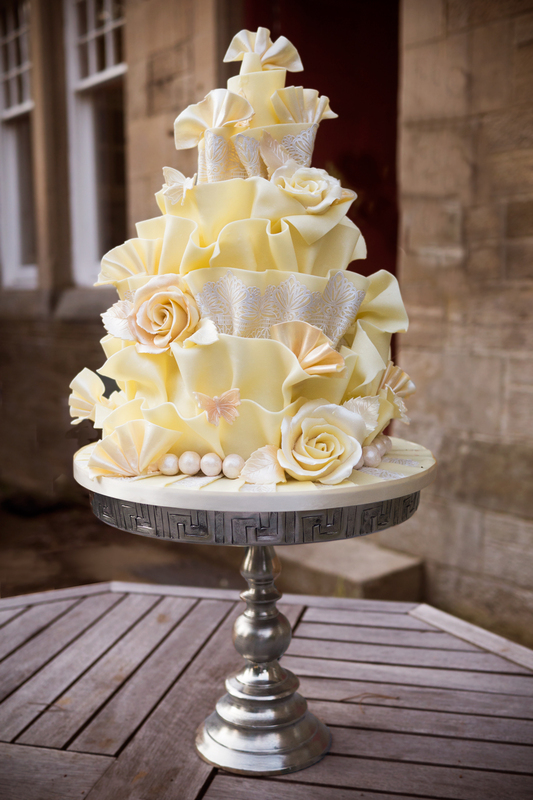 In this lesson, Paul strategically places all the decorations on the cake using some melted white chocolate as glue! Paul shows his gardening talents by adding some hand-picked sweet pea flowers, from his own garden, as an optional additional decorative feature, something that would be perfect for a garden wedding! In this lesson, Paul gives us another option for an additional decorative feature. This time some larger flowers! And the last option Paul’s shows us for an additional decorative feature is to add various fruits and berries; hand-picked or store bought, the choice is yours! 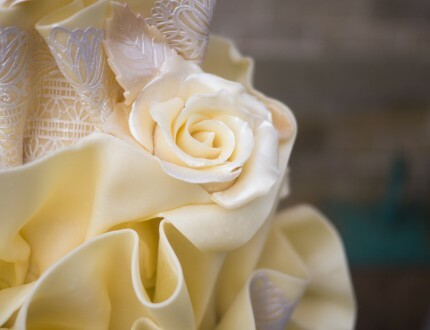 Paul shares some ideas that you can implement into your own version of this cake to make it unique to you; including how to make it bigger and more elegant or adding snowflakes for a winter wedding. We are sure you have some of your own fantastic ideas and we would love to see them. Please share your pictures with us on our Facebook page. 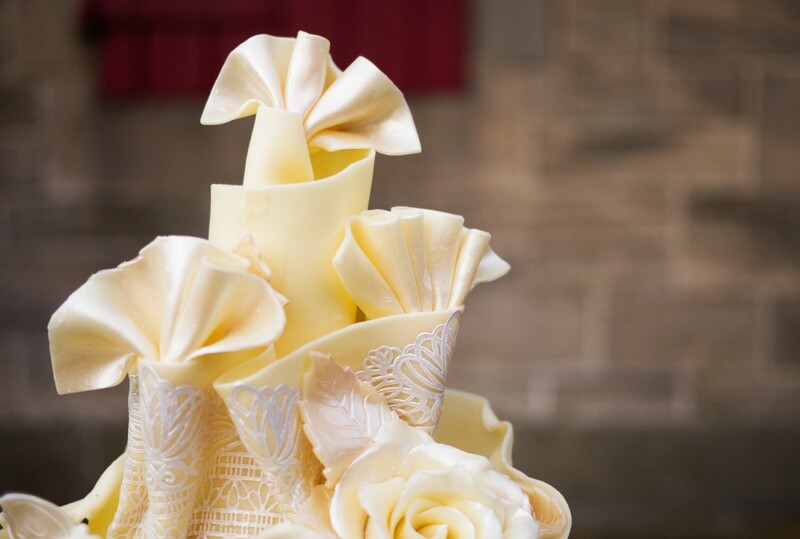 Paul discusses the cost of making the White Chocolate Wrap as well as what he would charge for the cake – useful tips for every professional cake designer. Struggling for time? You’ve come to the right place. 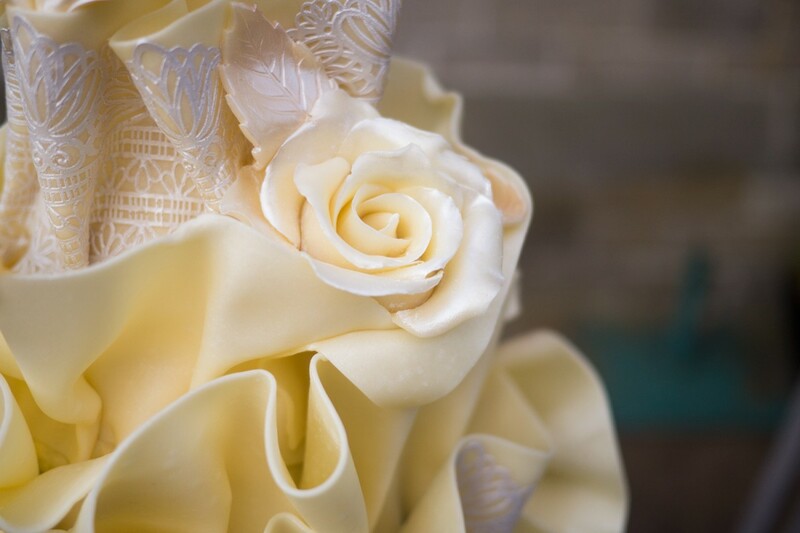 We have carefully selected all the key parts of the tutorial that you can view in no time at all to enable you to make this stunning cake! 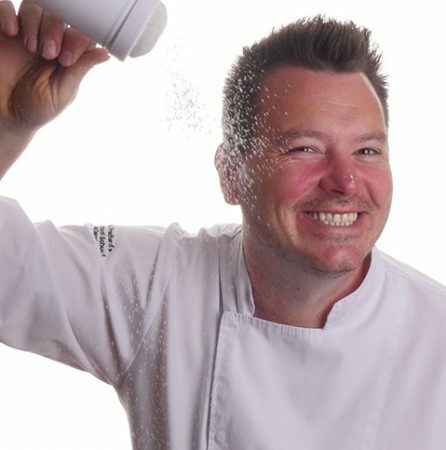 Paul introduces us to his signature chocolate wrap cake with a difference. 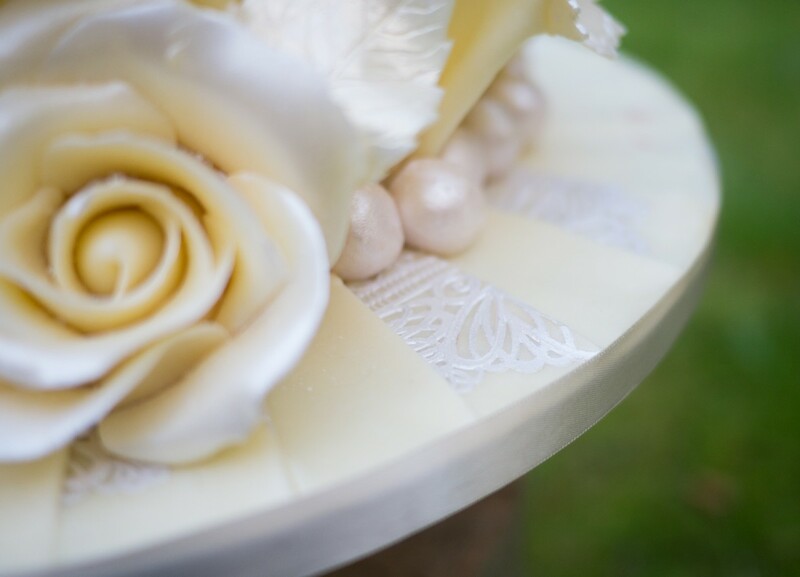 Paul Has added even more class to it by using all white ganache and white modelling chocolate and beautiful edible lace to add an elegant material feel. 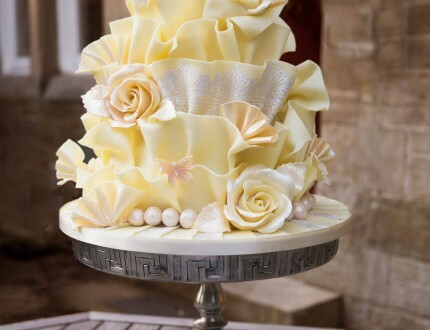 This tutorial is stacked with brilliant techniques such as stacking, carving and ganaching a two tier cake as well as making edible decorations including roses, fans and glittery balls using modelling chocolate and lovely dusts. Of course as well you will learn the stunning wrap technique! Paul goes on to demonstrate decorating the cake with flowers and then fruit to add variety. 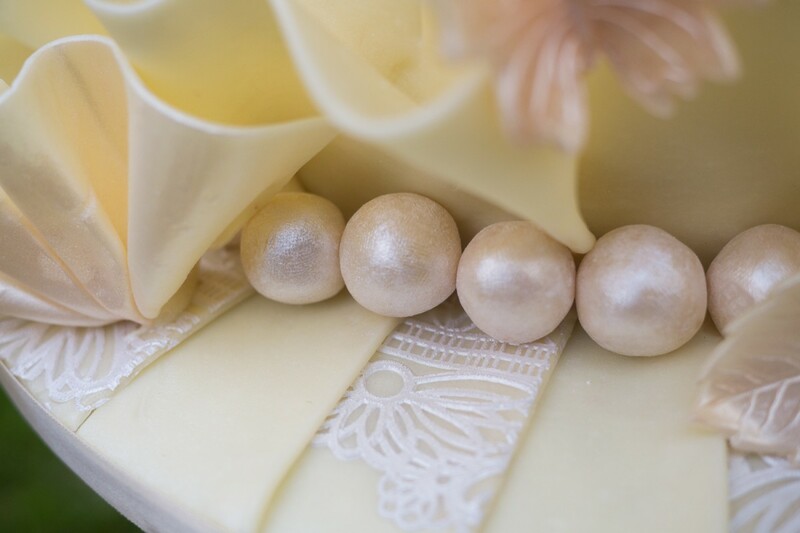 We would love to see your take on the White Chocolate Wrap – please share your photos with us on our Facebook Page! Decorating time: 2 Hours approx.